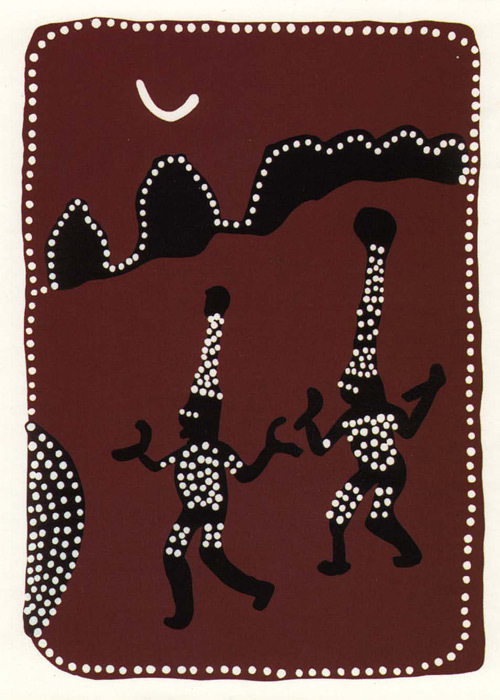 Jack Britten has depicted two men dancing by the moonlight in a night corroboree scene. The men hold boomerangs as they dance to clap in time with the music rhythm and singing. Their bodies, faces and tall headdresses are decorated with designs of white clay which illuminate around the fire.